Could snapping photos of food help you eat healthier? Showing people the caloric value of their foods before they eat them can help modify their eating habits. Some studies have shown that keeping a food journal helps people stick to their diet. And in an effort to fight rising obesity rates, the FDA announced in 2014 that chain restaurants throughout the U.S. will have to post calorie information in their menus (the rule is set to go into effect sometime next year). But the FDA rules won't apply to all restaurants. And food diets are cumbersome, tending to go the way of new year's resolutions. Lose it! thinks that Snap It could be the solution. But right now Snap It, still in beta, needs some help figuring out what it's seeing. Snap It might be able to identify your roll of sushi as a roll of sushi, but it needs you to specify the type of rice, the type of fish, and any garnishes. Charles Teague, cofounder and CEO of Lose It!, likes to compare Snap It's trajectory to that of self-driving cars. "Early autonomous vehicles are doing driver assist, like Tesla's auto pilot," Teague told CNNMoney in an interview, adding, "you need to keep your hands on the wheel too." Right now, the technology behind Snap It limits it. 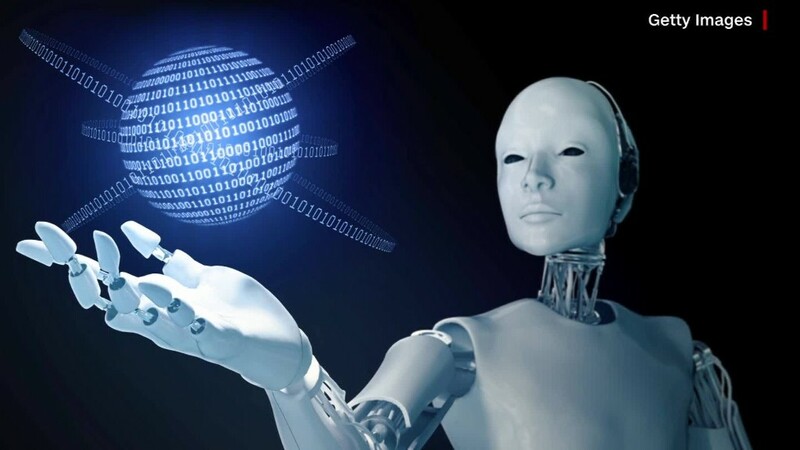 Teague explained that the new feature relies on a neural network that classifies images -- in other words, artificial intelligence that can identify categories of photos. At this point, Teague said, the technology is sophisticated enough to recognize an apple and classify it as such, but not smart enough to figure out the size, variety or other traits that affect the apple's caloric value. 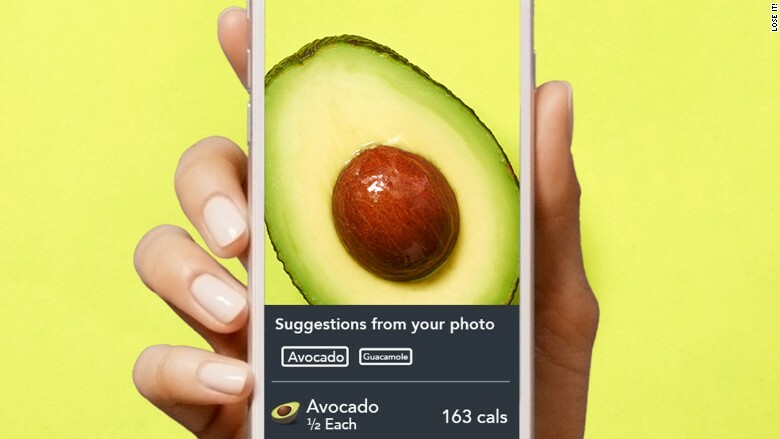 Eventually, Teague believes the tech should be able to identify foods so well that it won't require any more data to calculate caloric information. "We want to get to the point where you take the photo and let our intelligence do the work," he said. But machine learning is tricky, as is counting calories. For Snap It to function as planned, it'll have to overcome some serious challenges. Take, for example, the difference between a meal with condiments and one without. Dr. Barbara Rolls, who serves as the Helen A. Guthrie Chair of Nutritional Sciences at Penn State, pointed out that modifying a recipe in a way that might not be visible in a photograph could significantly affect its calorie count. "You could vary the proportions of fat and water and get standard portion variation of a couple hundred calories," she told CNNMoney. Snap It draws from a wide database that includes information from the FDA, food manufacturers, restaurants and others, but it might not be able to detect deviation from a standard recipe through a photo alone. That doesn't mean Snap It can't be useful in its current form. At this point, Rolls suggests dieters ask themselves a question when deciding whether to use products like Snap It: "Is getting the wrong information better than using your senses?" If you don't trust your senses, the answer may be yes. For some, tools like Snap It can serve as a general guideline -- a way to get a sense of how many calories, on average, are in a plate of fries or a bowl of soup. But, Rolls says, it likely won't be an accurate way for people adhering to strict calorie-based diets to figure out if they've exceeded a limit, or reached a minimum. So you can keep taking photos of your food. But when it comes to slimming down, you might want to trust your gut more than an app -- for now, anyway.